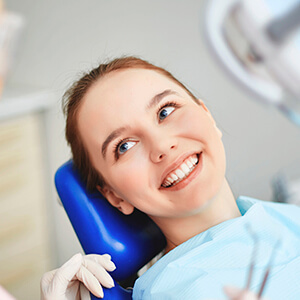 It’s essential that every patient visit the dentist two times a year for checkups and teeth cleanings. These regular appointments allow us to prevent many of the major oral health concerns and diagnose and treat others in the earliest stages. If you’re new to the Sparks area and looking for a dental office for your family, the Vista Dental Care team invites you to contact us to schedule an appointment. At your six month checkups, we’ll help you maximize your oral health and keep your whole, natural smile for a lifetime. Once you leave our office, it’s essential that you continue to care for your smile at home. Read on to learn more about proper at-home hygiene or ask one of our team members at your next appointment. Before you get started, make sure you have the right materials. We recommend soft or ultra-soft bristled toothbrushes. You should also use a fluoridated toothpaste to promote the retention of tooth enamel density. Look for the American Dental Association seal of approval to ensure you’re choosing a great toothpaste option. Place a pea sized amount of toothpaste onto the toothbrush, and systematically clean each area of the smile using a gentle back and forth movement with the toothbrush bristles angled toward the gum line. Brush for at least two minutes at a time two times each day. 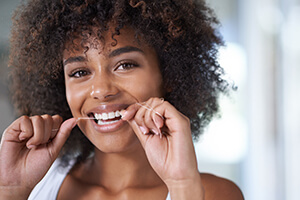 Many patients dread flossing, but it’s the only way to remove plaque buildup between teeth. The type of floss that works best will be highly individual to your own unique needs. If you have larger gaps between teeth, a thicker floss might be preferred. If your teeth are close together, a waxed floss may make it easier to floss between teeth. You’ll need to floss at least once each day. Move floss gently between teeth against both sides of the tooth all the way to the gum line to remove bacteria and plaque buildup.